Trends: Do we still follow them? Ponder upon it for a second and you may see the statement’s accuracy in today’s pop culture. We all remember Lady Gaga’s infamous meat dress and the last time I checked, poultry fashion isn’t (and let’s hope will never be) a trend. 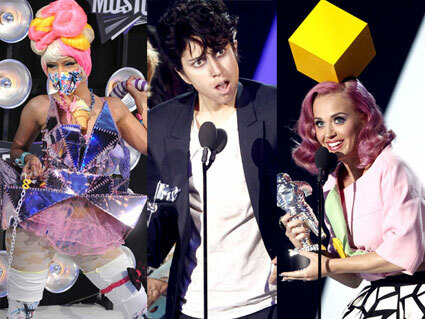 For Gaga, it was about wearing what she wanted to wear and having the confidence to do it. At times it can feel like a challenge to break free from the status quo of fashion — perhaps out of fear of ending up on the worst-dressed lists. However, formulating a personal style that is uniquely distinct from everyone else and suffering a few fashion misses along the way is all part of finding yourself. Don’t get me wrong though; I’m not telling you to go to your local supermarket to see what garments they have in the meat section. It’s possible to take small risks without pulling a Nicki Minaj or Lady Gaga. Aria’s skirt is a great example of this. I’m not going to lie though. When I first saw her Topshop Metallic Pleated Skirt, I wasn’t too sure what I thought of it because it was so distant from the regular skirts we normally encounter. But the more I looked at it, the more I thought of what kind of person would wear this piece. This person would have to be a bold risk-taker with an abundance of confidence. This skirt is simply a statement of fashion eccentricity and personal style — like a more wearable version of Gaga. Try a bold and unexpected piece. You may be surprised by the power of uniqueness.